Dr Mary Gagen is an Associate Professor of Geography; she is a climate change expert. 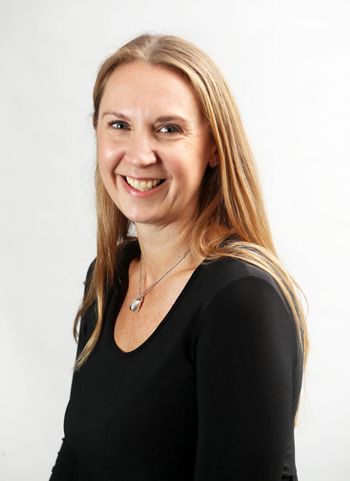 Mary is passionate about science outreach and is part of the leadership team on two of Swansea University College of Science flagship public engagement programmes; the Swansea University Science for Schools Scheme and the Oriel Science centre. I come from a geographically diverse family, we travelled a lot when I was small, so I suppose it’s natural I ended up a geographer! My work on climate change led me to be interested in public engagement with science. From taxi drivers in Namibia to reindeer herders in Lapland people are passionate about climate and eager to talk about their lives on our dynamic planet. Those conversations contribute to my teaching, research and public work. I have always thrived on variation and there’s really nothing like a university for that; people have the most amazing range of talents and can achieve great things when led flexibly and collaboratively. What have been the main highlights and challenges since taking up your leadership role with Swansea University? The team who nominated me support two projects, the Swansea University Science for Schools Scheme (S4) and the Oriel Science centre. These projects aim to transform the way Swansea University talks with the community about science and research. There are challenges to making research relevant to society but many reasons to try; we are all keen to be informed citizens and we need to nurture the next generation of thinkers and experimenters. A small conversation, between a scientist and a child, over a bowl of ‘non-Newtonian slime’ for example, can make a difference to the educational choices that child makes and how ‘thinkable’ science is to them. Staying connected to a team, as things get busier, is critical. Otherwise we risk not spotting the potential in an opportunity, or some hidden talent in a team member. It’s also important not to be a perfectionist. If Voltaire, a creative genius, believed that ‘perfect is the enemy of good’ then I probably should too! In the public sector resource limitation is an ongoing challenge, now combined with political and economic uncertainty too. However, I believe that teams who feel supported are more challenge resilient. In my view, whatever the economic climate, the greatest benefit is seen from working to create a positive and nurturing team culture. I’ve been lucky enough to be mentored and led by those who have both a brilliant mind and a kind heart. Prof Mike Barnsley is one of Swansea’s science greats, he was an empathetic and nurturing leader and I am where I am today because of chances he gave me early in my career. The word, for me, would be ‘collaborate’. We’ve all worked in those teams where it feels like being dragged along rather than led, particularly when organisations enter a challenging period; the difference comes when leadership is collaborative. 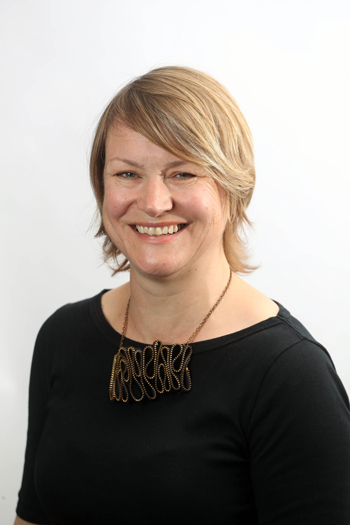 Dr Mhairi McVicar is project lead of Cardiff University’s Community Gateway, leading a team who brings community-led ideas to life through multi-disciplinary teaching, research, professional services and volunteering partnerships across Grangetown communities and Cardiff University. As Senior Lecturer and Welsh School of Architecture Director of Engagement, Mhairi teaches and researches engaged practice. Before joining Cardiff University in 2006, I practiced as an Architect in the UK and USA. In a Chicago-based practice of three, I was introduced to the role of the architect as a conductor, orchestrating a multitude of specialised and skilled individuals to create a common understanding of quality. Embedded in every aspect of a small business, I learned to approach leadership from the bottom-up and collaboratively, trusting in the expertise, care and commitment of others. This taught me to be comfortable in acknowledging the limits of my own expertise, and to value continual learning alongside those I collaborate with. What have been the main highlights and challenges since taking up your leadership role with Community Gateway, Cardiff University? My role in Community Gateway embedded me directly into the deep end of university-community engagement partnerships. The ongoing highlight is the absolute joy of being able to commit to meaningful, long term partnerships working on an equal basis with a wide range of community representatives, with no prior agenda in mind other than that of testing out ideas for mutual benefit. That almost every aspect of the project has piloted a new way of working with community partners continues to challenge everyone involved as we wade through the complexities of bringing together multiple organisational structures of all shapes and sizes. That face to face contact builds support for a good idea; that meaningful partnerships take time; that uncertainty and risk should be anticipated and celebrated when testing new ideas; to be tenacious and optimistic when progress seems infinitely stalled; to learn from challenges and issues as well as celebrating successes. Ensuring that everyone has a real voice and contributory role in developing an ambitious, self-confident, multi-cultural, outward facing, civic, cohesive and fair society, despite enormous challenges of long-term economic austerity and diminishing public services. Our challenge is supporting local communities in meaningfully accessing and contributing to University skills and resources. Karen Holford, Deputy VC, Cardiff University. Joining Community Gateway’s Steering Group, she impressed youth members by relaying that she hadn’t secured required A-Levels, describing her path into Higher Education leadership through an undergraduate apprenticeship route. Dismantling assumptions of a linear path, she encourages leadership as achievable through tenacity and commitment. 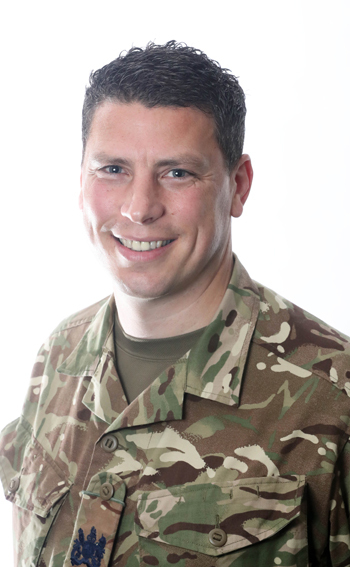 Warrant Officer Neil Martin is responsible for the planning, organisation and delivery of motivational courses offered by the Army in Wales to enthuse, inspire and encourage unemployed individuals to achieve their potential and gain employment. He seeks to champion all candidates and arm them with skills to make them more rounded citizens. Having few qualifications and limited self-esteem on leaving school at 15, I quickly realised that the Military was my only real option of making something of myself and forging a challenging and rewarding career. Coming from a disenfranchised and somewhat dysfunctional background, the experiences and situations arising from Service life enhanced my skills in the planning and the delivering of the programme being delivered to the Welsh community. The Military provided a sense of belonging and aspiration to impart my experience whilst outlining the available opportunities assisting others achieve their potential; ultimately maximising their chance of gaining full time employment. What are the main highlights and challenges since taking up your leadership role within 160X? Developing a nascent capability at a time of austerity with limited resources presented challenges as did identifying key stakeholders and developing mutually advantageous relationships. I therefore fulfilled functions as a planner, trainer and relationship manager in order to deliver the desired outcomes culminating in candidates gaining full time employment. Enabling individuals, often lacking in confidence or qualifications, to realise their potential and gain employment or identify new opportunities is extremely satisfying. Supporting employers’ needs to recruit motivated individuals is also rewarding. Leading a diverse, small, professional and dedicated team who contribute to corporate social responsibility outcomes is a real privilege. “Unemployed doesn’t mean unemployable”. Some candidates simply lose their way in life and just require support and guidance, or just a positive word to realise their potential. Often individuals from diverse backgrounds bond to make the strongest and most effective teams. Variety and difference should therefore be seen as strengths. Possibly the greatest challenge facing leaders today arises from the uncertainty of the Brexit decision. This uncertainty, coupled with continued austerity, breeds caution and consequently organisations and individuals may be reticent about new ventures thus reducing job opportunities. Leaders must seek innovative solutions to ensure a sustainable future in Wales. Tori James and Nigel Owens are inspirational leaders who have striven for excellence within differing fields. The first Welsh woman to ascend Everest, Tori’s an exemplar across the gender divide and Nigel’s calm leadership on-field and personal courage off-field result in both being role models to whom others may aspire. One word that sums up leadership for you?